Discussion in 'Evaluating and Criticising Scientology' started by HelluvaHoax!, Jan 31, 2016. For over a half-century Scientology and its 2 bombastic gurus (the "Commodore" and the "COB") have loudly proclaimed that Scientology is the "World's Fastest Growing Religion". Fast-Talk -verb: 1. To influence or persuade (someone) by talking quickly in a confident and often dishonest way. 2. To manipulate a person's thoughts and/or behavior by fluent, facile, and usually deceptive or tricky talk. Words like "total Knowingness" and "Boom Boom"
Is what you scream and shout!! That's what Scientology is all about! That is what Scientology is all about! And whose lives BLEW UP after they attested to "total knowingness"
THAT is what makes the waxing attests on videos so STUPID! Image compliments of a poster from Tony Ortega's Underground Bunker! Super stupefied successes of unprecedented orders of mindless magnitude! I have a 14 year-old male Eclectus my boyfriend and I adopted last year and for the past 17 years have lived with a beautiful female Eclectus who just recently passed away (due to egg-bound related problems). We have been perusing craigslist thinking about one day taking on another parrot and found your ad about parrot adoption. By chance do you need some volunteer help with your birds? I'm looking to soothe a void and understand how much attention these special beings require. Send me your Email address and tel no and I will let you have a parrot. I am always looking for good homes. You sound like a great parrot parent. Hi Karen, I'm actually not looking to adopt another feathered child right now. It's all too fresh still. I was wondering if you by chance needed any assistance with your adoption/rescue set up? Even just cage cleaning, or making fresh meals? Do you have a website set up to help find optimal parents? That sort of thing. I'm open to ideas, just want to help. ++++++A stranger writes to me volunteering to come to my house to clean cages and make fresh meals. Los Angeles is very spread out..this could be a 30-40 min drive. Cleaning cages and making meals is a daily chore. So she’s already prepared to come over daily without even knowing where I live? She calls Parrots special "beings". Not special pets, not special creatures, but BEINGS. A Scientology term. ++++++Her bird died so she wants to volunteer to come and work for me, a stranger so she can "soothe" her void. Does OSA continue to believe that I was born on a banana boat ? It's too soon to get another being to fill the void, but starting with cleaning up parrot poop would be the proper gradient. Strange ... although she claims that the was looking on Craigslist for a parrot to buy. Maybe she's decided that she needs to do some MEST work for causing her parrot to die? Ask them if they have their own toothbrush. Heche Doble - I don't know if you listened to Dan Koon on Jeff's latest pod cast - his "ghost" writing consisted of interviewing Ron sr. for 3 days on tape ( I think that was the time he said) then writing the first draft of the book, sending it to Ron for a review, then tweaking it. So, who's book is it really? Is Dan becoming the Sherminizer of the indys? The history of Scientology seen through the eyes of Joe Howard? Will he become the next Horace Hackett, the pulp writer in the book Typewriter in the Sky who controls the fate of his characters from afar? It was a nice podcast in any event - revealing to say the least. That would explain why Dan "Mr Scientology works!" Koon's fingerprints and DNA are all over that book. Isn't this a famous strategy of Scientologists--parasitically taking over the host, as was done in the case of Scientology acquiring CAN (Cult Awareness Network) which they had just succeeded in bankrupting. Then cult goons were posted answering CAN's phones and "handling" people who were worried about their children being psychologically kidnapped by L. Ron Hubbard and his fanatical loyal officers. we are doing something about it!' --how can I direct your call? home and won't talk to my husband and myself any more. a billion year contract to a science fiction writer! us, but why did you think to call CAN? We only deal in cults. She is in a cult! Scientology! Let's me just look that up in our data base. to listen to your issues and concerns. to say or ask before I end this call? have to say?! That's all you're going to do?! relief for free. Is that okay wit you? Alright....now - Here we go. loved ones? Just take a LOOK. The surreal circus of scientology has come to town (Australia) with the grand opening this week of a $50 million dollar "ADVANCED ORG". Full coverage over at Tony Ortega's THE UNDERGROUND BUNKER. 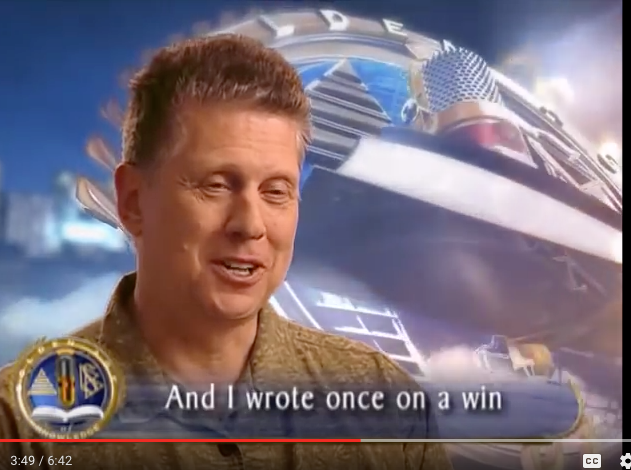 The chief clown in charge (Miscavige) waved his arms and boomed his voice and confidently proclaimed that he has (once again) conquered the universe and saved mankind. The circus attendees clapped and stomped their feet and screamed with delight to hear about how their eternity was now secured by means of having a building in Australia. Nobody explained how that works, but Scientologists have knowingness, so if you don't get it use more clay. Instead of spending $50M, if Scientology actually worked they could have used the funds to pay for an army of people to go full OT VIII. At the organizations expense, estimated to be $25,000 each. To be safe, let's allow $50,000 per OT to audit them up to that level. Now, instead of an empty building there would be 1000 "total cause over life" OT VIIIs in Australia. Those 1000 OTs would easily cause a boom unlike none that has ever happened before in the entire world, right? But Scientology doesn't believe in OT. So, instead they have circuses and clowns. They feel good about it. And, the science (F/N on an electropsychometer) confirms that something truly miraculous is happening in those empty buildings. You can't see it. That's because you are not OT. ps: Donations are now being accepted for the Ideal Overflow Building which will be constructed right next to the "Advanced" org. We desperately need $10,000,000 to accommodate the people that are waiting to get into the Advanced org, because it the demand is so great and the lines so long with overflowing beings waiting to get in! R-FACTOR: The Overflow Building will make planetary clearing a reality, on this planet. 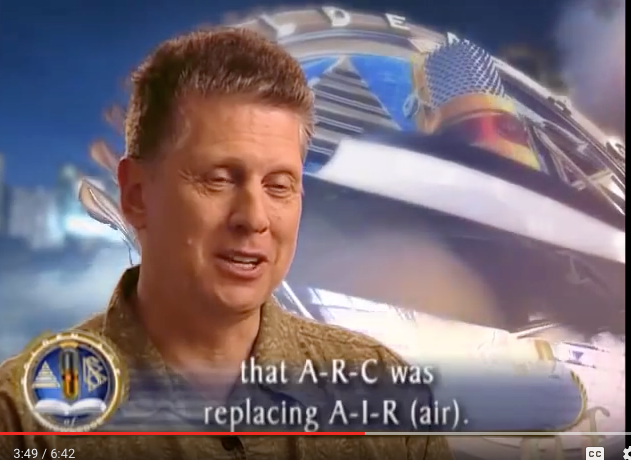 Just when you think Scientology can't get any more stupid - it does. What is masking this Scientologist's vision is her inability to look and think for herself. and she still can't see. TRANSLATED in Scientology lingo - "Get trained" on how to pretend to get along with others so they join Scientology. If they don't like Scientology or speak ill of Hubbard, COB or the CULT - you FIRST ATTACK - go through their folders and find crimes...if you can't find crimes...make them up. "What is true for you ... is true for you"
The "tech" of getting someone in Scientology by following the simple steps of the "DISSEMINATION FORMULA". It all begins with contacting an individual and first making sure they don't have any "antagonism" towards Dianetics or Scientology. If they do have "antagonism towards the subject", Ron's scripture states that you must "handle it" before moving on to the next step of "finding their ruin" and then using it to scare them into signing up for Scientology. Hubbard doesn't say HOW to "handle" their antagonism, but Scientologists drill each other on it and typically what they do is counter whatever negative statement the person makes about Scientology with a positive one that proves they don't know what they are talking about. Scieno-Scenario: An OT sits next to a wog on an airplane. Hey, perhaps you noticed I am reading a book? to disturb you, was I snoring? about what book I am reading. Um, no, actually I was sleeping. about what book I am reading? No, it's okay, I'll just go back to sleep. on the front cover? Here LOOK! family are involved in Scientology. So, what do you think about Scientology? hear anything negative from anyone else. I just reached my own conclusions. all the money so that Scientology could buy real estate. to declare bankruptcy. But, there's more. letter and they refuse to see me or talk to me. sent disconnection letters and I have no family now. matter of fact, that's why I am on this airplane today. I can actually survive in spite of their terrorism. with Scientology. I'd like to handle you on that. What do you mean, you'd like to "handle me" on it? Scientology has done something wrong. about how destructive and evil Scientology is. management instead of talking to me. apologize and then make up the damage to me. harassment, intimidation and fair game black ops. on the planet. We are following Ron's policies. You don't handle us, we handle you. destroyed by Scientology and Scientologists. Hubbard and his terrorist tech. not delusional. I happen to be an OT VIII. your phone number and e-mail so we can stay in com. seat and never talk to you again. if you could write up a quick Success Story. Are you serious? LOL. Success?? Once those two characters started talking, it was like rats running in a maze. They couldn't find the cheese or the exit so they kept on runnin' (their mouths). btw i think we all sat next to that guy - or his non-scientologist cousin - some time. Oh HH - it was eerily so "spot on" - the whole thing!! I recall I got a guy in Scientology who had a been in Scientology back in the 80's in LA. He had a horrific experience and the "execs" in the tiny little Morgue I brought him to "handled" his antagonism. Years later - after ScienDollatry scammed hundreds of thousands of dollars out of us both - we THEN had OUR OWN HORRIFIC, CRIMINAL experiences with the Criminal Con Organization disguised as a "church" and found out they are above the LAWS of the land so they can bribe, steal, extort, betray, lie and crush people with no consequences of any kind. I have discovered that BTs can have misunderstood words too! The body’s ear might hear one thing and the BT might hear something else entirely, direct. This results in Mis-U sounds and oral words. The BTs don’t know what the person is saying, nor do they know what is being said to the person, due to these Mis-Us. And the person gets caught in the middle of this flow channel, experiencing the reaction to the BT’s Mis-U. The usual reaction of the BTs is just to withdraw. BTs can get Mis-Us from reading matter, foreign languages, and I have found BTs that don’t speak English.